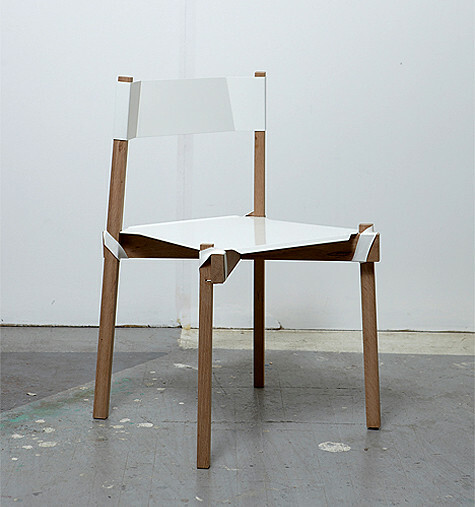 At this year’s Royal College of Art graduate show in London designer Nicola Zocca presented a series of furniture made by shrinking plastic around its joints. The heat-shrink plastic, normally used to protect electrical cables and engineering parts, is simply wrapped around wooden components and heated, forming a rigid joint once cooled. 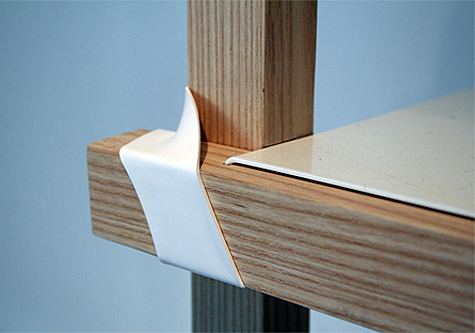 I appreciate any product that celebrates the small details, making them a beautiful and noteworthy feature. I like the way the plastic joints cleverly match the other metal components, too!